< Can You Really Carry That Boulder? You see a penny on the ground. It’s so insignificant. Why should you bother picking it up? First of all, even though it seems so trivial are you rejecting gifts and blessings in your life because you don’t recognize or acknowledge them? Secondly, I had a wealthy friend of mine say that when you pick up even a menial penny, you are using the law of attraction to show you want more abundance in your life! Perhaps the next time you see a penny on the ground, you can do a little inward reflection as you’ll learn from this story I heard recently. An affluent man was with a small group of people. He stopped to pick up a penny from the ground. 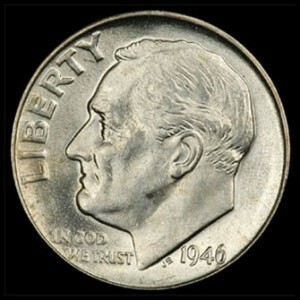 One of the group members questioned why someone so well-to-do would bother with something such as a penny. The man said that he enjoys finding pennies because it gives him a chance to do a reality check on himself. Inscribed on the penny is “In God We Trust”. The man always asks himself “Do I still trust God?” What level of faith and belief do I have that God is still there for me? Even more importantly, the man said that he asks himself “Can God trust me?” What am I doing in my life to show my integrity and that I am living the values I’ve committed to for improving my life and the lives of others? So the next time you see an available penny on the ground, you might want to pick it up. Who knows, maybe next time it will be a dime! This entry was posted on Wednesday, March 30th, 2011 at 8:14 am	and is filed under Gratitude, Money Matters. You can follow any responses to this entry through the RSS 2.0 feed. Both comments and pings are currently closed.